Learn about the effect of US and EU sanctions on Iran. Tehran's famous Sa'dabad Palace (summer residence of the Qajar Dynasty) and Golestan Palace. Iran's support for Hezbollah terror attacks, Syrian chemical weapons attacks and Houthis whose slogan includes the words "Curse the Jews" are apparently not topics that this supposedly "woke" organization that cares so much about peace will be broaching with their very polite hosts. The feminists at CodePink will also not talk about Iran's laws that forbid married women from applying for a passport, traveling outside the home, choosing where to live, and being head of the household. There are no laws against domestic violence or sexual harrassment. The list of human rights abuses in Iran is long indeed. 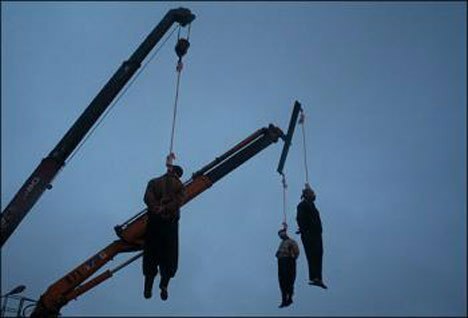 Political prisoners are tortured and killed, members of certain religions are persecuted, there is no freedom of speech, peaceful demonstrations are routinely met with violence, children are executed, women are forced to wear hijab, foreigners are interrogated and imprisoned on trumped-up charges. 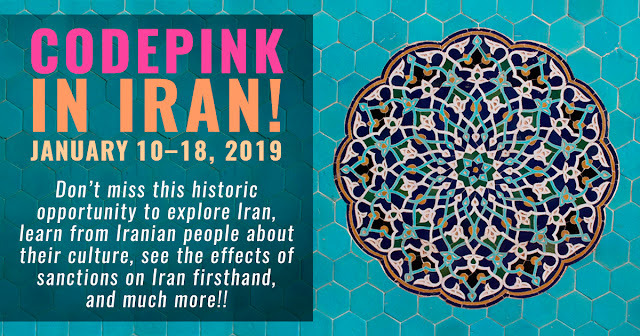 CodePink is very concerned about human rights abuses in Saudi Arabia, yet Iran is guilty of every single human rights crime that the Saudis are - and more - but Iran is instead considered a fascinating and progressive state. It is difficult to imagine a more hypocritical organization than CodePink.